Before I dig deeper, just want to make a small announcement. I don’t usually publish new blog posts on weekends, but today is different because this isn’t like most other blog posts. This is more of a personal anecdote (as you can see above, this post is labeled under a new category called “Personal”). I’ve decided to share some of these more personal stories from time to time, and ideally, they’ll be posted on weekends. I hope you’ll allow me that 🙂 If these are not your cup of tea, just avoid reading the weekend posts! Moving on, let’s see what’s happening here. You see, I’m struggling with a lot of things, not just this blog. That’s very telling. It’s telling that something is just wrong. In other words, I need to have a good look at where life is headed and what the underlying problems could be that’s keeping me from following through, not only in regards to this blog but also in most other aspects of life. For example, my work, my studies, my relationships with those around me, etc. The world we live in these days isn’t making things any easier either. On the contrary, I think I’m allowing anything and everything to affect me and the way I work. On one hand, this is important. I’ve always hated ignorance and apathy, but when things reach a point where things start to overlap and my responsibilities and duties start to struggle, it’s a sign that I’m failing to compartmentalize. So, the bigger question is, how do I not become ignorant, stay up to date with current issues, while at the same time, do what needs to get done? It’s in answering this question that I finally realized what the biggest issue is. You see, my biggest problem right now is that I have stopped setting clear goals. I used to have a journal where I’d write down very clearly what my short-term, mid-term, and long-term goals and aspirations were, but I have been too comfortable with the flow of things lately, so much so that I didn’t even realize when the flow started to stagger, until there was no flow to speak of. I got too complacent, but it’s time for realignment. 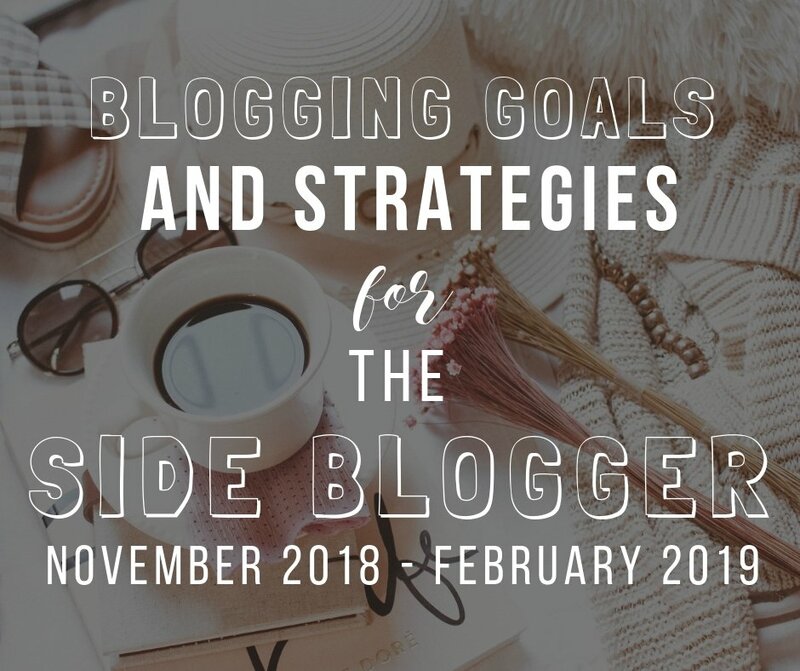 So here I am, to re-establish some [blogging] goals. Two blog posts per week. This is to get more and more traffic to my blog. Off-page SEO. Another way to get more traffic. Up until now I mostly focused on getting traffic from Pinterest. I’m thinking maybe I need something else to diversify where my traffic comes from. There are two options here: Facebook and better SEO. Personally, Facebook is something I struggle with. SEO on the other hand, I understand, although I haven’t really put much of it to use. So, for the next three months, I’ll focus on SEO, both on-page and off-page. I’m sort of conditioned to implement on-page SEO as I go, so, not much to be done there. Off-page SEO, on the other hand, is something I’ve been saying I’ll implement, but haven’t yet. I plan to change that during the next three months. I plan to publish at least two guest blog posts during the next two months. This will require much work. Starting from figuring out which blogs/publications to pitch to, to actually pitching, and then hopefully getting accepted and then doing the writing and all that jazz. At least one new opt-in freebie per month. This is to get more people to sign up for my newsletter. This can be a double edge sword, however. Sometimes people opt-in just to get the freebie, but then unsubscribe right away. But even so, the number of people who stay on is much larger than the ones who opt-out. I think the challenge here is to figure out what people truly want from me. So far, the most successful opt-in freebie has been my media kit template with Canva. Maybe I should add some variation here. Perhaps a free email course or something along the line; we’ll see. Two blog posts per week with more strategic topics. Two guest blog posts by mid-February. At least one new opt-in freebie per month (a total of three by mid-February), and one of them a short email course. Now, this is tough. I haven’t a clue what I should be doing. I suppose this all depends on how my short-term goals pan out. Roughly speaking, I’d like to start making money around March of next year. Depending on my audience size, I’d like to start thinking about perhaps creating an evergreen course. So far, I’m confident about creating a course on Pinterest. I know I have a solid Pinterest strategy and it works! So, perhaps something along that line. My long terms goals will likely take off from where my mid-term accomplishments stand. I can’t make a solid plan as of yet, but I know I’d like to start making at least $500 – $1000 starting in the second quarter of 2019. That’s really all I can say for now. Anyhow, right now I need to start working towards my short-term goals. Starting… pretty much right now if I want to publish two blog posts this coming week. 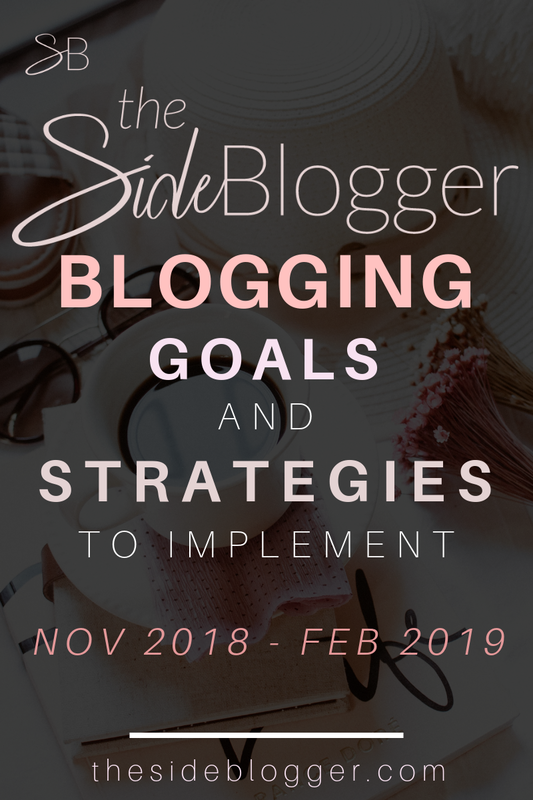 So, tell me, where do you guys stand in your blogging journey? What are you stuck on? Let me know in the comments and perhaps I can help? Great post! I love how honest you are about the struggle of being a blogger even if you aren’t a new blogger! Keep up the good work and you’ll hit your goals! Your story in this post has completely resonated with me. It is my story. I have had a blog online for almost two years, but have not been able to make any money from it. I am a very busy homeschooling mama and I am finding it difficult to make my own goals for my blog. Would you be willing to start a conversation with me about our goals?